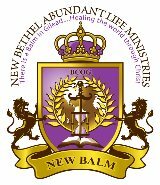 “I exhort therefore, that, first of all, supplications, prayers, intercessions, and giving of thanks, be made for ALL men.."
If you have a need or request that you'd like New Bethel Abundant Life Ministries to lift up before the Lord, here is the place. We're believing God for you and your family's healing, deliverance, strength, provision and the fullfillment of God's assignment as it concerns you! 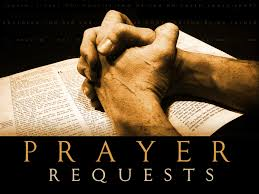 If you have a special request that you'd like our ministry prayer warriors to lift before the Lord, you may type them here.